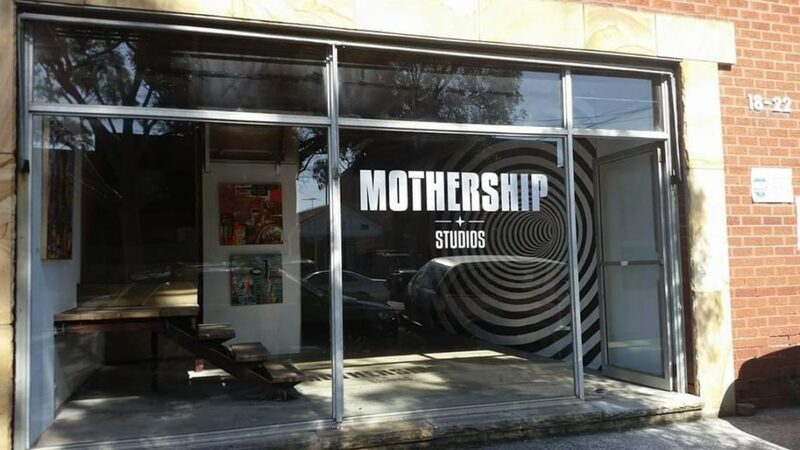 Mothership studios is a thriving artistic hub, located in Sydney’s inner west. Occupying a vast premises, Mothership Studios plays host to a variety of creative platforms for talent from Australia and beyond. Spread across three spaces and over 200 square meters, Zero Gravity Galleries offers artists a wide range of creative options. Small intimate galleries, fashion catwalks, performance space, cinema facilities, and large rooms with high ceilings work in harmony to build an ongoing program of exciting shows. A screening space specialising in niche, genre, avant-garde and trash cinema along with regular showcases of local work. The cinema provides seating for up to 100 people and is available for private screenings upon request. An outdoor live music and events space suitable for emerging and established musicians and music producers alike. The Launchpad is also suitable for community events, outdoor installations, performance art and much more. At the core of Mothership are the artist studios where over 30 creative practitioners across many disciplines work to enrich the space and in turn further their own practice.